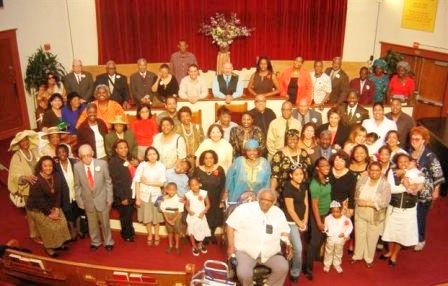 Ingleside Presbyterian is a humble, progressive, interracial, faith-powered congregation. As a congregation, we seek to fulfill our church commitment of service to God Almighty through service to humanity. We deliver programs for spiritual, cultural, educational, and social enrichment. Pastor Reverend Roland Gordon has been the life-force of Ingleside Presbyterian Church for more than a quarter century. As a man of deep faith and indomitable energy, his leadership has served all San Francisco and has recently garnered recognition as the San Francisco Theological Seminary Distinguished Alumni for 2003. In the same timeframe, 2003, Ingleside Presbyterian Church was named by Lilly Endowment as one of the "300 Outstanding Protestant Churches" in America. Only 36 Presbyterian churches are included in that distinguished group. Still, both the pastor and the congregation of Ingleside Presbyterian, while filled with thanksgiving, set their humble course to work and serve and pray and to "walk by faith and not by sight;" This is who we are.